This is a guest post by Melanie Perkins, co-founder and CEO of Canva. We are launching Canva For Work that will help you and your team create original stunning visuals faster than ever. Register your interest to win free accounts. I want to start with a question. A question which I think plagues a lot of startups. Should you listen to your users or not? Most people would answer with a simple yes or no. On one side of the argument are people who believe you should test everything. They say you should trial Google AdWords and see if people click on your ad. If they don’t, you might not have a viable business. On the other side of the argument people point to Henry Ford’s great quote - "If I had asked people what they wanted, they would have said faster horses." 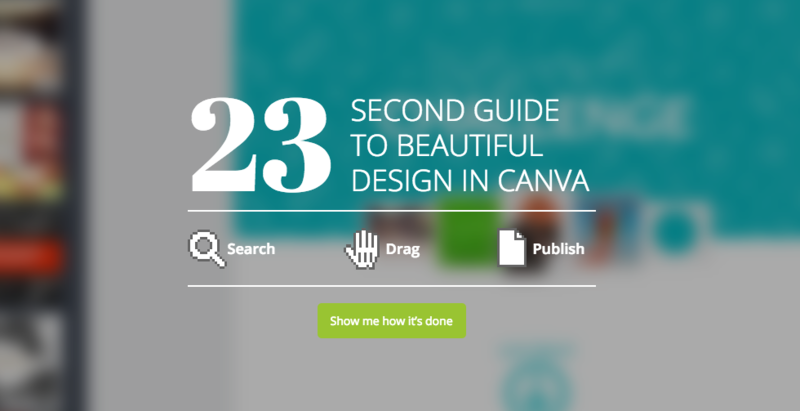 To grow Canva to 2.8 million users in 20 months, we did both. I’m going to share my experience about whether or not you should listen to your users. Above all, the timing for each is incredibly important. When I was studying at university I was also teaching design programs. Students from many different faculties came to learn to design as part of their Professional Communications units. However, it took a very long time for them to the learn the basics of the programs and by the end of the semester they could hardly operate the tools let alone actually ‘communicate’ through their design. I don’t believe you can ask your users what you should build. If I had asked these students (or professional designers) what they wanted, they would have asked for incremental improvements to the design software they were using and people who had no design experience certainly wouldn’t have even known that they would have the ability to design. However, it was the particular insight I gained from watching people who knew nothing about design, trying to use the design tools that became the foundation for Canva. It became apparent that they were complex and tedious and beyond the scope of most people’s expertise. But being able to use the tools myself I knew the capabilities of using design tools to communicate and it became apparent that in the future that everyone would have these same capabilities and they would be a lot easier to use. After about a year of development we had the basic building blocks of our design platform built. So we decided it was time to do some usertesting and see how people actually used it. It was extremely insightful. Users were scared to click much and when they did they wandered around aimlessly, struggled with a few things, created something that looked pretty average and then left feeling dejected. Not quite the fun journey we were hoping for users to experience. It became quickly apparent that it was not just the tools themselves that were preventing people from creating great designs, but also people’s own belief that they can’t design. Furthermore, people using Canva for the first time inevitably didn’t have a ‘design need’, meaning that they had no reason to actually use Canva, so clicking around aimlessly was going to be a pretty uninspiring experience. In order for Canva to take off - we had to get every person who came into our product to have a great experience in a couple of minutes. We needed to change their own self belief about their design abilities, we needed to give them design needs and we needed to make them feel happy and confident clicking around. We needed to get them to explore and play in Canva. No short order! So we spent months perfecting the onboarding experience paying particular attention to users’ emotional journey. The goal behind our onboarding process was to debunk two key thoughts. Regardless of how simple and intuitive we made our design program, people had preconceived ideas (not wrongly so) that design programs were difficult to learn and use. Again, not a great time to listen to your users. To address this concern, we created a short introductory animation – 23 seconds – to visualize the simple functionality of Canva. The animation actually uses Canva itself to point out where the tools are and how to use them in three simple steps. Most people think they’re either “creative” or “non-creative”. I disagree. I believe there’s creativity in all of us, and with the right tools it can be unleashed. In an ambitious bid to prove this belief wrong, we created a series of interactive challenge tasks. Our objective was to give people very simple challenges that would get increasingly complex, and for them to build their confidence with each step of the process. It was imperative users could experience small wins. Our first challenge seemed simple enough – to change the color of a circle to your favorite color. We watched a user tester struggle for almost a full minute, he said “Can someone tell me how, cos I really don’t know, ummm… How am I going to change that? Am I missing something?” Eventually he figured out how to change the color of the circle and gave us a really interesting insight in the process. It was difficult to spot the color picker when it was the color grey, when we changed it to red it was very obvious. This tiny tweak has saved hundreds of thousands of people from struggling with this step and boosted our user’s self-confidence in the process. Watch the two videos below and see the huge difference in the emotional reaction. To give you another example, we added another ‘challenge’ which prompted users to place a hat on a monkey. Does this make for great design? Not necessarily. 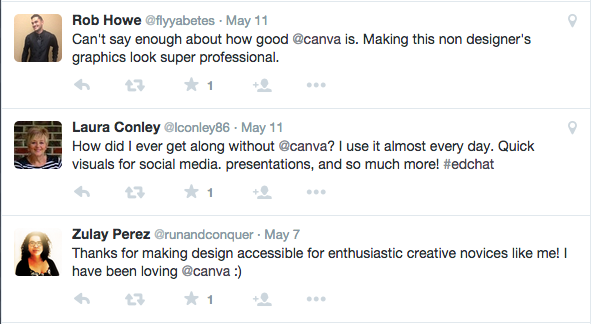 But it did convince people that Canva was easy to learn and that Canva was easy enough to explore. We spent a considerable period of time trialling different variations of ‘challenges’ - three challenges, ten challenges, double barrelled challenges, simpler challenges, more difficult challenges. Each of the variations gave our users a different emotional experience. The ending result was great, within a few minutes of using Canva people feel confident with their abilities, understand how Canva works and then spread the word. Understanding your users’ emotional needs when you’re getting your startup off the ground is only the first step. If you abandon them after you launch, your efforts will have been wasted. Canva’s customer support is an integral part of our platform. Our amazing team don’t just answer technical queries, they pick up where we left off: they empower our users to believe they can design. A 24-hour roster. Our users’ questions are a huge priority for Canva. A 24 hour roster ensures we can speak to our global community of users anywhere, at any time. By being online when our users are, we’re able to help during their working day. Obviously, when we were starting out 24-hour support would have been a stretch, however, responding in a timely manner when our users are most active has always been essential. An average response rate of less than two hours. That brings us to speed. Getting back to people quickly is one of the best ways to provide great support. Our users know that they can contact us when they’re having an issue and we’ll do our best to help them out. This also means we can keep on top of the impact of any new features and keep a finger on the pulse of our community. A daily customer happiness report. To ensure full transparency, each day a report is sent to our entire team with a summary of the day’s tickets. This ensures that our users are always front of mind at Canva, and the relevant team knows when there are particular issues that they should be aware of. Regular workshops. Recently we flew our team based in Manila to our HQ in Sydney. We conducted intensive workshops with our team where everyone had to opportunity to see what kind of tickets our users were submitting. All new team members also complete the same exercise during their first week at Canva. Why? There’s no better way to inspire your team to build an amazing product than to put yourself in the shoes of the people using it. This is the time to listen. In any case, the conversations your customer happiness team have with your users are critical to your success. Collate their feedback, listen to their suggestions, act quickly on any bugs or challenges they experience - quickly responding to your users and customer support team’s feedback is essential. 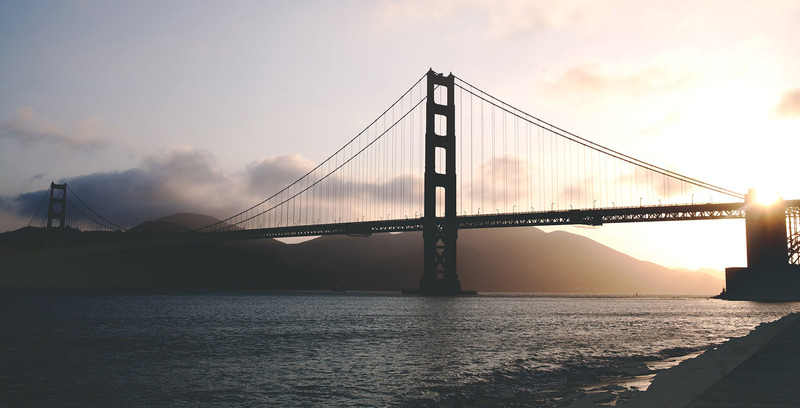 I often get asked which tactics we used to propel Canva’s early stages of growth. My answer is always the same. We didn’t focus on engineering virality, SEO, SEM, content marketing or any other marketing. We relied on the powerful momentum of word of mouth that was spurred by having a product that solved significant pain points for our users. Spending a year in development gave us the luxury of being able to deeply understand our user’s emotional needs, and build a product and solution that would cater for them. Creating a product people would love wasn’t the only way we exerted our goodwill. When we launched our product, we created a series of free interactive design tutorials people could use to learn basic design skills. Despite strong advice to the contrary, we decided not to watermark user’s designs with our logo, we wanted our users to get so much value from Canva that they spread the word about it. Anything we believed would benefit our users, we did. And it’s been one of the best decisions we made. 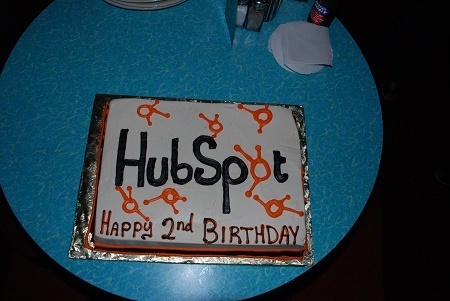 Our community of 2.8 million users is proof of that. I’m not saying go out and make decisions based on your gut – but always be willing to invest in projects or resources that might not immediately return direct revenue. If they create goodwill amongst your users, they’ll yield an incredible amount of value. At the end of the day, your users are your most valuable asset. When you’re launching a startup it can often feel like you’re walking in pitch black guided only by flickers of light. That’s how I felt while receiving advice on whether or not to listen to users that thought they would never be able to design. But what I learned while growing Canva to 2.8 million users is that exercising the discretion to do both is what good business is all about. My advice – do both, but remember timing is everything. Henry Ford also said: If everyone is moving forward together, then success takes care of itself.” Include your users in your product journey – they’re the only other people who will care about your vision as much as you do.